Just 20 minutes from Bali's International Airport, Besakih Beach Resort offers tropical bungalow accommodation surrounded by beautiful gardens. Blending Balinese tradition with modern sophistication, rooms features air conditioning, satellite TV and their own private patio or terrace. The fantastic range of facilities includes everything from 24 hour room service to 2 swimming pools, 2 restaurants and a massage service. 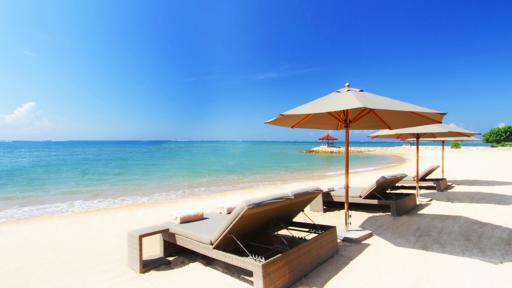 Fairmont Sanur Beach Bali is a luxurious beachfront resort in Sanur. 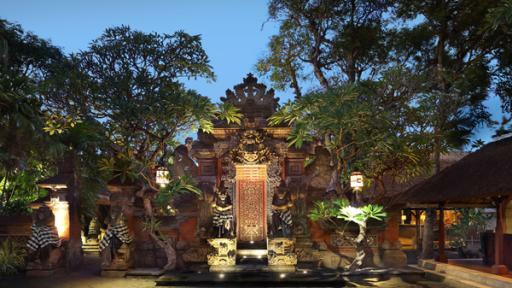 Balinese traditional design flows through the entire property and is perfectly blended with all the modern conveniences guests require for a perfect Bali holiday. Families and couples alike will feel welcome and can choose to do as little or as much as they please from the day spa to the infinity edge swimming pool to the array of dining choices. 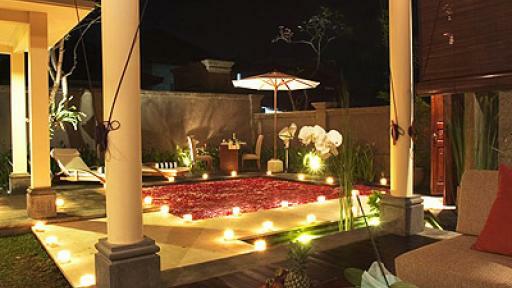 Offering friendly staff and personal service, Griya Santrian is surrounded by beautiful landscapes. 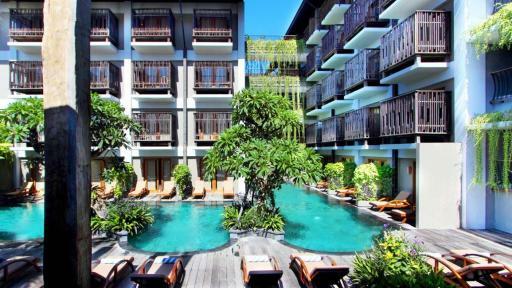 Located on Sanur Beach, the well-appointed accommodation is just minutes from the shopping and dining of Sanur's main street and only a 25 minute drive to Bali's International Airport. 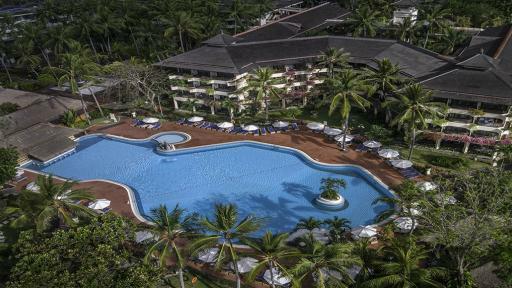 The resort offers a great range of facilities including lush tropical gardens and large outdoor swimming pools. The ultimate surfers retreat, Hotel Komune Bali offers casual and comfortable resort rooms in a friendly and fun atmosphere with a modern range of facilities. 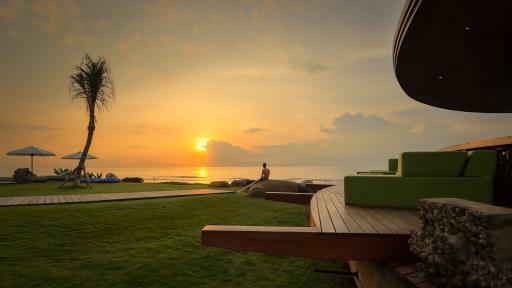 The resort is also located on one the best high performance right hand reef breaks in the world at Keremas Beach. 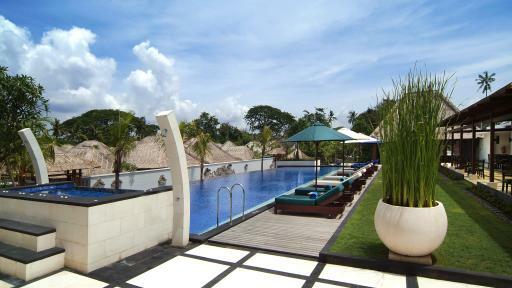 Hotel Komune Bali is approximately 30 minutes from Sanur and an hour from Denpasar and the International Airport. Set on the beautiful shores of Sanur Beach, Inna Grand Bali Beach Hotel, Resort & Spa offers quality accommodation spread across a Tower wing & Garden wing. Colourful expanses of tropical landscaped gardens extend all the way to the beach where you will find a range of water sports, including surfing and snorkelling. The resort also offers a swimming pool, onsite restaurant, shopping arcade, babysitting services, a beauty salon and more. Soak in the glory of the morning sunrise on Sanur Beach only five minutes from this stunning property, Kamuela Villas & Suites. Culture and nature surrounds you in this beautiful region of Bali and you can explore it all from your stylish accommodation at Kamuela Villas & Suites featuring private outdoor areas and modern conveniences. 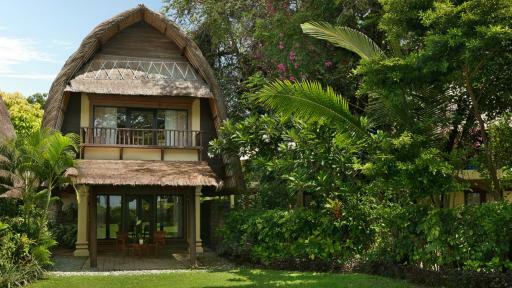 Just 2 km from the beach club, Kayumanis Sanur Private Villa & Spa is one of the island's original villa only properties. The secluded villa accommodation features their own private pool and Balinese lounge pavilion and come in 1, 2 and 3 Bedroom configurations. The first class facilities including an onsite restaurant, day spa, daily cultural activities and more. 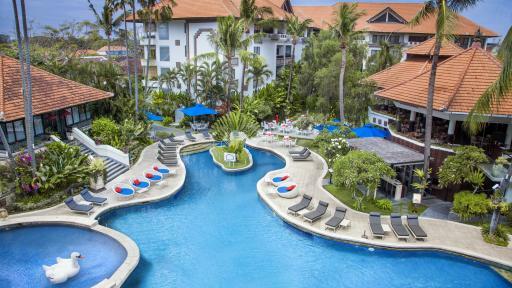 Mercure Resort Sanur - Bali is ideally located on one of Bali's most beautiful beaches and is approximately a 20 minute drive from the International Airport at Denpasar, and a short drive to the shopping, nightlife, bars and restaurants of Kuta, Legian and Seminyak. Guestrooms are located in 189 rooms which are spread throughout the Resort’s garden in a cottage style layout. Facilities include a day spa, restaurant, bars, 2 swimming pools, kids club and a tennis court. Located on the picturesque south east coastline of Sanur, Prama Sanur Beach Bali enjoys absolute Bali beachfront accommodation. The deluxe rooms are spacious and private and enjoy exclusive access to the fantastic facilities including a day spa, fitness centre, shops, swimming pool and swim up pool bar. The resort is also within walking distance of the local markets and villages. 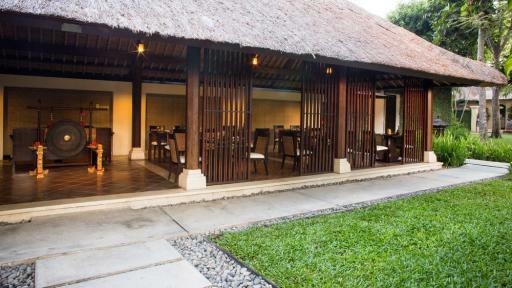 The traditional Balinese design of Prime Plaza Hotel Sanur - Bali perfectly complements the charming coastal village of Sanur. The comfortable and spacious accommodation is conveniently located close to the beach, golf course, restaurants, galleries, temples and attractions of the region. There are also a myriad of facilities to enjoy including onsite restaurants and bars, a fitness centre, day spa, expansive free form pool, kids club, gaming arcade, 30m waterslide and more. One of Sanur's most family friendly resorts, Prime Plaza Suites Sanur – Bali offers large apartment style accommodation and is home to Bali's best kids club. Camp Splash is a fun, safe and educational wonderland for kids on holiday in Bali and features a dedicated children's pool, waterslides and a range of activities throughout the day. The resort also offers something for everyone with an onsite bar and restaurant, day spa, complimentary resort activities and a free shuttle service to the beach and shops. A beachfront property in Sanur's south, Puri Santrian offers comfortable accommodation set amidst 3.5 hectares of lush landscapes gardens. An island wonderland, the resort features fountains and cascading waterfalls throughout the grounds as well as an excellent range of facilities including four pools, a sunken pool bar, onsite restaurants, a day spa, tennis, water sports and a range of recreation activities. Created around the concept of a traditional Balinese village, Segara Village Hotel is set among 5 hectares of tropical gardens. Accommodation is spread across 5 individual villages within the grounds and is ideal for romantic escapes or family holidays. 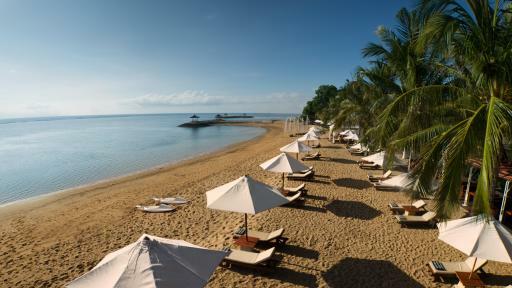 Situated on the beautiful beachfront of Sanur, the resort offers plenty of space and facilities to relax. 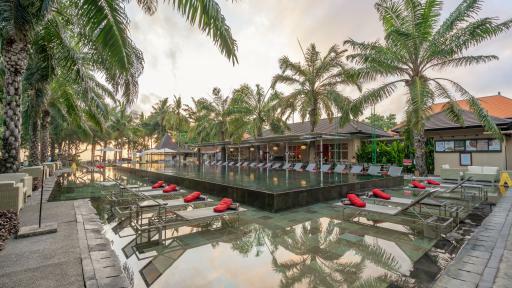 Just a short stroll from the beach, The Oasis Lagoon Sanur is just a 30 minute drive from Denpasar International Airport.. 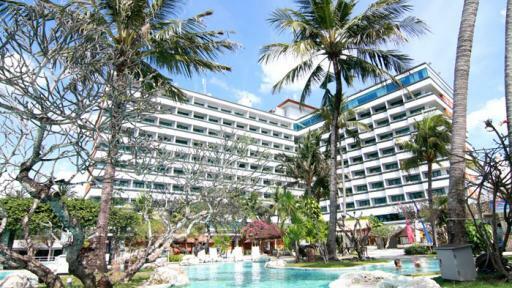 The well-appointed accommodation enjoys beautiful views of the lagoon style swimming pool and Kuta and Legian are just 25 minutes away. There are also a fantastic range of onsite facilities including the lush lagoon pool, a day spa, restaurant and free WiFi. 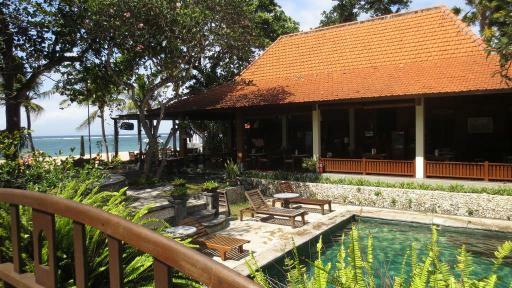 Villa Mahapala is a private luxury resort located in Sanur within walking distance of Sindu Beach. Designed around the zodiac theme, the resort accommodation features deluxe villas complete with satellite TV, a DVD player, private plunge pool and more. 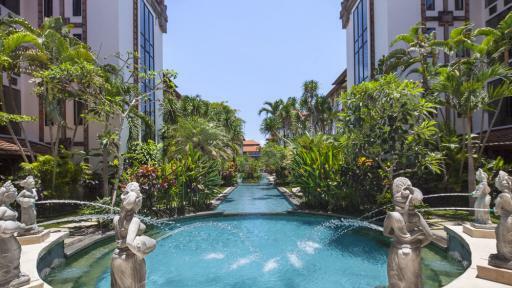 The onsite facilities are second to none and include a gym, onsite restaurant and more, just 5 minutes from Denpasar's renowned shopping precinct and only 20 minutes from Kuta and Bali's International Airport.